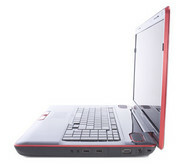 Potential buyers should also note that the X505 has a range of SKUs, starting at the $1200 X505-Q860. 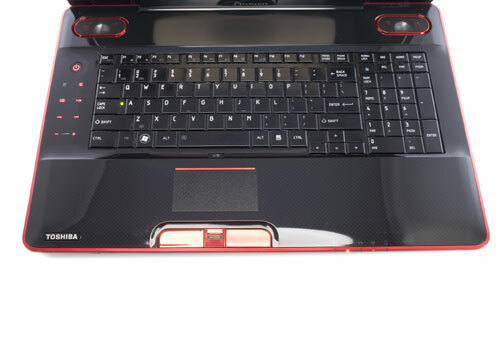 This gets a Core i5 processor, 4GB RAM, and no SSD, but it still has the GTS 360M graphics. This makes it a comparatively better value–not only does the price better fall in line with the build quality but you are getting the crucial stuff while taking a hit on some of the non-crucial extras, like Blu-ray. 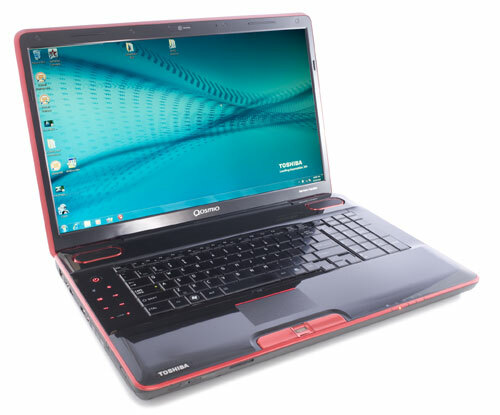 The Toshiba Qosmio X505 is among the largest notebooks at 18.4” and 9.7 lbs., and the CPU and graphics updates make it a powerful everyday desktop replacement and a darned good gaming machine. The Core i5 is cheaper with only the DVD drive option, but the video and gaming performance is quite good relative to the more expensive Core i7 models. If you must have a Blu-ray drive and/or an HD display, then you should look at the Core i7 models, but for those who don’t need a quad core machine or a Blu-ray drive, the Core i5 can save you a bundle. 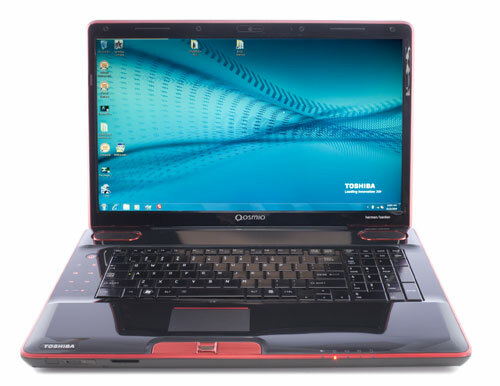 If portability isn't too much of an issue and you want a high performance gaming system for $1500, the Toshiba Qosmio X505-870 is an excellent choice. 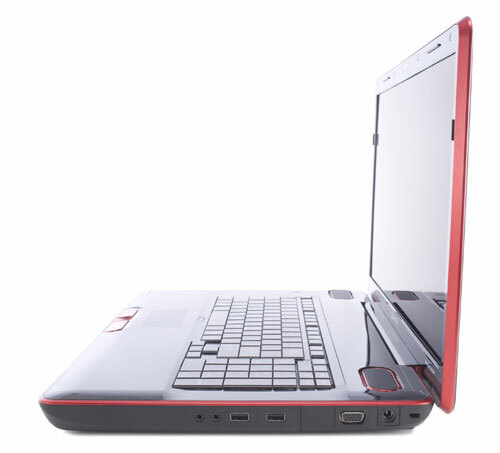 The system offers some outstanding performance thanks to the Core i7 quad core processor and some superb gaming thanks to the NVIDIA GeForce GTS 360M. The inclusion of a Blu-ray drive makes it a nice multimedia platform. Toshiba's Qosmio line has always been the company's experimental playground for high-end systems, from massive gaming rigs to inventive multimedia home theater laptops. While there were a lot of interesting ideas there, you often ended up with slightly overpriced systems with out-of-date video cards or non-functioning Webcam hand gesture controls. 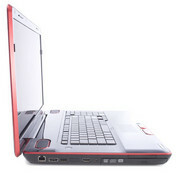 Toshiba revives its Qosmio gaming line with the high-end X505. 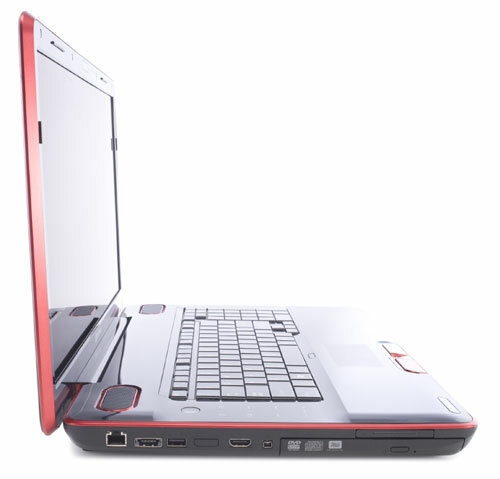 It has everything from Blu-ray to an Intel Core i7 CPU, but it also carries a premium price. 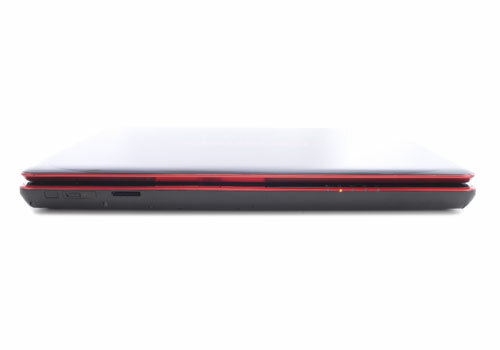 A blazing-fast 18-inch desktop replacement with Intel Core i7 power and smooth Blu-ray playback. At $1,899, the Toshiba Qosmio X505 isn’t exactly cheap, but it’s a bargain compared to more expensive systems like the Alienware M17x and ASUS W90, especially considering that neither of those systems come standard with a fast solid state drive. 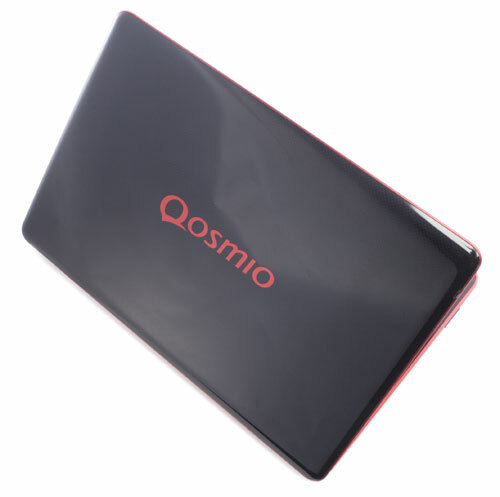 While some slightly less expensive systems like the Gateway P-7808u FX and MSI GT725 provide slightly higher frame rates in some games, the Qosmio X505’s outstanding overall performance, blazing fast SSD, stylish chassis, and smooth Blu-ray playback make it a more compelling system. If you’re looking for a portable gaming rig that can serve as a home theater and costs under $2,000, the Qosmio X505 is the leading choice.